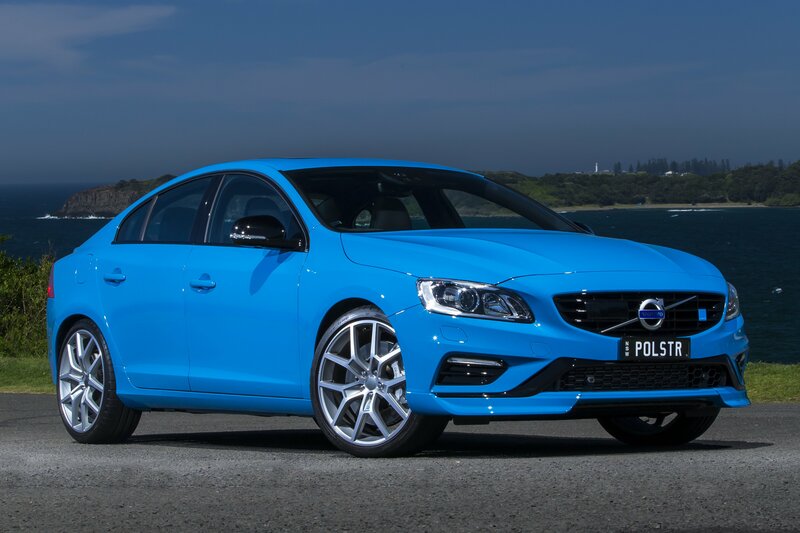 The S60 Polestar is Volvo’s (mighty) attempt at a stylish, sport sedan that can take on the Germans head on; specifically the Audi S4, Mercedes C400 and BMW 335i. With it’s edgy, rebel blue paint job, oversized sport rims, and plethora of Polestar badges and logos, this hot Swede sure looks the part. This is certainly a Volvo that WILL NOT put you to sleep by its sight. It’s a proper, sport sedan without all of the “fluff” that we’ve become so accustomed to. There is a rear diffuser, 2 exhaust outlets, and a front splitter that actually do something! In the case of the front lip, it provides added down force to front, which assists in high-speed maneuvering. In no way does the exterior interject the performance that this car packs, but that doesn’t mean it’s boring. It’s a perfectly executed sleeper. The interior is very Volvo-like, in good a way. Build is very good, with very nice leather and suede used throughout. All the plastics feel nice in the hand, and the seats are nicely padded. Hints of sportiness are tastefully placed throughout the cabin, like with the carbon-fiber looking center console, aluminum pedals, and blue contrast stitching. The instrument display is really cool, as the TFT display changes with the different modes that are selected. It’s also quite nicely designed, not cluttered with too much information, providing only what you really need. Nothing more, nothing less. Infotainment is hit or miss. The 12-speaker, 650w Harmon/Kardon stereo system is banging, with very nice bass and clarity. The navigation system is simple, which is good, and overall the Senus multimedia system is quite well done. But, the screen is way too small when compared to the competition, and the button cluster in the center looks and feels awkward to me. 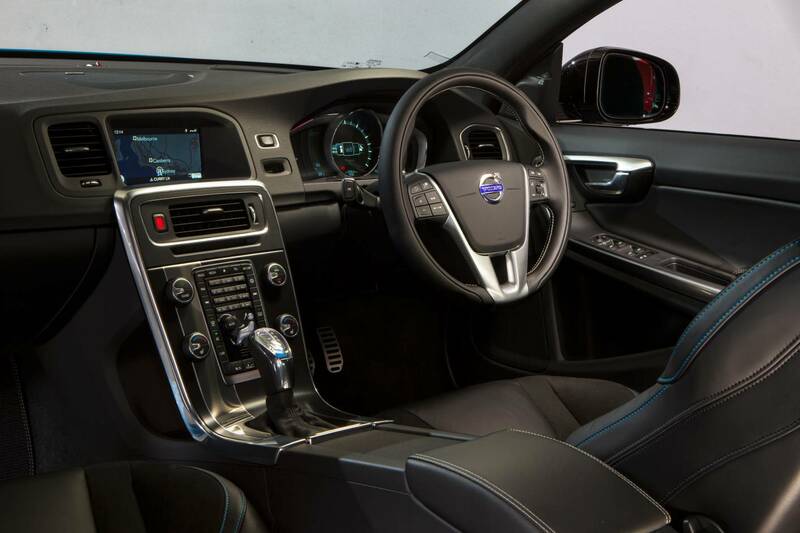 Even with those slips, the S60 Polestar’s interior is still a very nice place to be. Now for the fun part, the performance. The Polestar comes with an inline-6 that has a big Borg-Warner twin-scroll turbo strapped to it. This all means that the Pole star has roughly 350hp and 370 lb/ft of torque to play around with, which is more than enough to have some everyday fun. The Polestar pulls really nicely, especially through the mid-range, which is complemented by smooth yet aggressive note from i6. But when you’re just cruising about town, with the revs on the lower-end of the tach, the cabin and ride is quite and composed. The 6-speed transmission is a joy, with quick and smooth shifts through out. When you stab the gas-pedal, the transmission is always ready, shifting down a gear almost instantly to get you up to speed. The ride, on the other hand, is…rough. 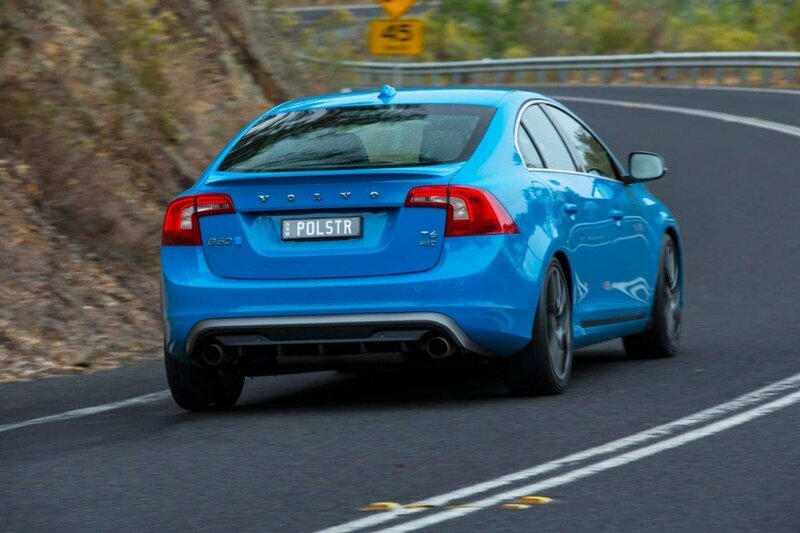 The Polestar comes with stiff springs, which lead to a very stiff ride. 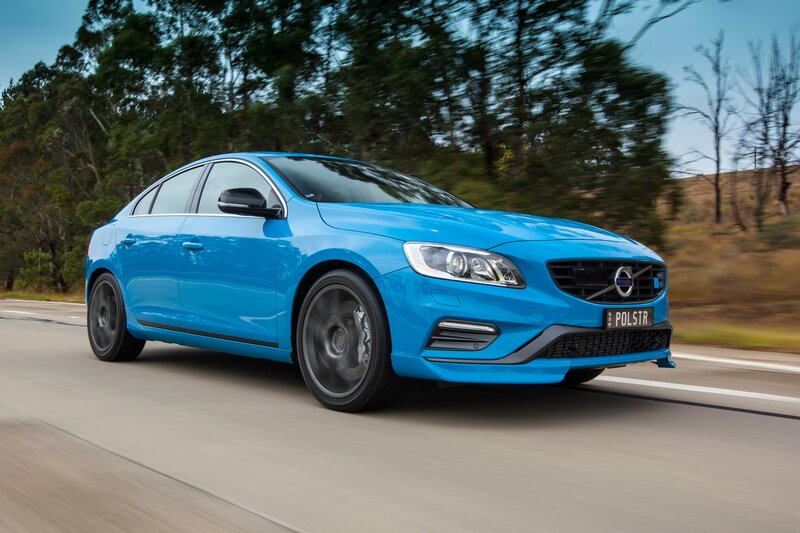 The ride isn’t go-kart stiff, but at the same time it’s shocking to think of a Volvo having a sporty ride.Personally, I prefer a smoother ride, but the S60 Polestar’s ride is tolerable,especially when you consider the handling. The chassis does feel very connected and corning is very nice. The 4-wheel drive system, which can allocate all the power to either axle, provides the confidence you need to accelerate and corner in slippery situations. Oh, and this thing stops on a dime, with a monster set of brakes. The S60 has it’s own personality, something you really can’t say about the Germans. This car is seriously quick, and at the same time comfortable for the most part. It’s a car that could be driven daily, offering generous space to work with. And at the same time, this is a car that you could have serious fun with. One could cruise along the beach, carve up the back roads, and still enjoy the in-between with the S60. The price tag may be a little steep, but when you consider that this is a limited release (only 50 for Australia) and the amount of car you’re getting, that $110,000 price makes a lot of sense. At the end of my time with this car, I genuinely was impressed. The S60 Polestar has completely changed my view of Volvo. What was once considered a sleepy, boring mans car to me is now a seriously cool brand. 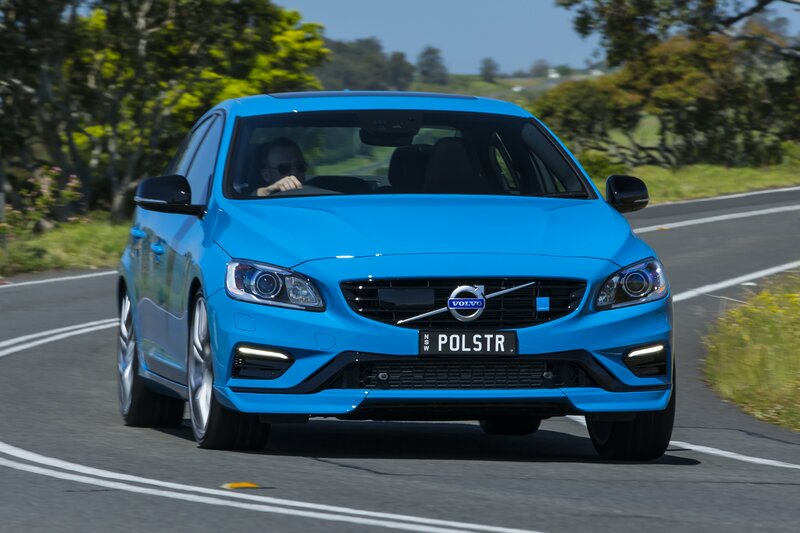 The S60 Polestar feels like it could gotoe-to-toe with Audi, Benz, and Bimmer. And in one such case, it out-right leaves them in the dust; individuality.